Much of weather forecasts in Iowa are pretty much accurate. So you can rely on these to set a timeline on when to do your move. Of course, you wouldn’t want your move to happen during a snowstorm. Choose a day where there is less likely to have any weather havoc in Iowa, so you can quite conveniently transfer your furniture and other belongings to your new home. 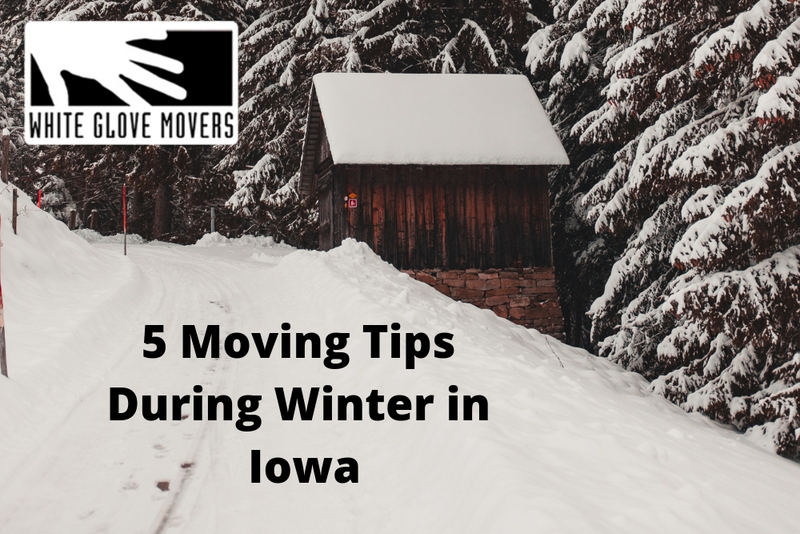 If you are cautious of not wanting your belongings to slide on an icy road, then you can always discuss this with your professional moving company in Iowa. In this manner, they can easily know your preferences. To ensure this, you may need to bring some snow plows with you. Otherwise, someone from the family can go in advance to your new home to prepare all of these. Otherwise, you will be struggling with how to get rid of all the piled snow. We understand how difficult it can be to pack during the winter season. This makes it more reasonable for you pack up days before the move. As always, we always remind anyone moving to and from Iowa to plan early. Pack your things ahead of time. Label your moving boxes accordingly. In this manner, you won’t be rushed come moving day. Do your packing and labeling during the daytime. This will help you save on electricity by utilizing the heat and light from the sun. As needed, disassemble your beds and sleep on an air mattress the night before the move. This will be a little inconvenient, but this will help you save a lot of dollars. Sometimes, the sudden drop in temperature can put your vehicle in a ditch. So do consider having these inside your car for emergency cases. It is easy for a pair of gloves to get wet during the move. So prepare a couple of these to keep you warm and protected. Are you having a hard time finding a reliable professional moving company in Iowa to help you with your move? We are happy to help you during this cold winter season. Contact us.